Don't let shallow water slow you down! 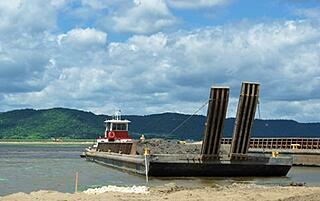 Dredging promotes efficiency as much as a well-functioning terminal does. Brennan can provide both mechanical and hydraulic dredging options that will maintain the needed depths for efficient navigation. From mass removal to surgical dredging, we have the ability to right-size our operation for your project needs. This includes projects that may involve rapid dewatering and disposal in offsite locations. Our dredges are outfitted with state-of-the-art navigational and dredge monitoring equipment, so we know exactly how much material we are digging at any given point. 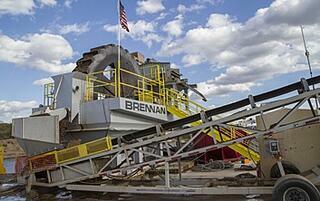 Brennan also offers hydraulic dredging for mass removal situations. In this case, material can be dug using a cutterhead, or hydraulic dredge, and transported long distances to a dewatering or disposal site. Our dredges range in sizes from an 8-inch discharge, all the way up to a 16-inch discharge. 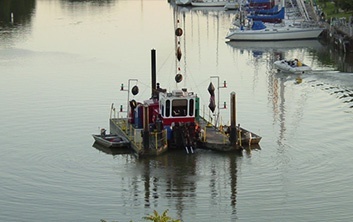 These dredges are portable and can be easily transported from one body of water to another. Material transport is also sized for the project. Every project is different, and to maximize value there must be a high level of flexibility. Brennan can offer several methods of material transport including barge transport, hydraulic pipeline transport, or a combination of both to safely support dredge operations of all sizes. large settling ponds. Brennan can manage an effective rapid mechanical dewatering operation that will allow ground transport of sand and sediment. We can also build and manage a passive dewatering system such as retention ponds and geotextile tubes field. J.F. Brennan Company specializes in marine construction projects throughout the inland waters of the United States. 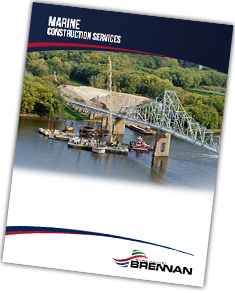 Download our brochure here to learn more about our dredging and other services that we offer. 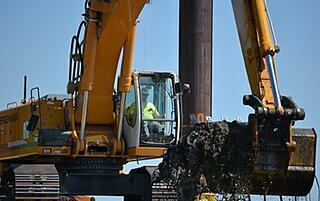 Want more information on our navigational dredging services? Fill our the form below!